Plant a beautiful tree or shrub last year? If so you are likely anticipating great things this year… and you should! It is finally time to get excited about showy flowers, wonderful scents, and delicious fruits and berries. Now that your plant has almost completed one year around the sun in its new home, what should you expect? During the first year, a newly planted tree and shrub is getting situated to its new surroundings. 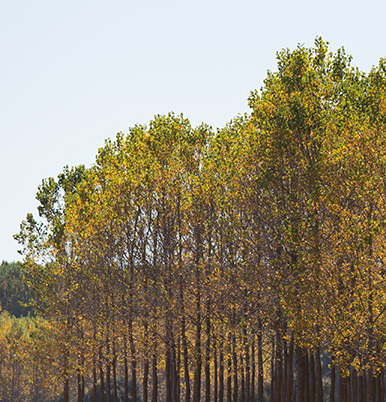 If careful consideration was given to proper plant selection, placement in the landscape, and proper planting technique, your tree or shrub is well on its way to becoming established in its new home. As your plant wakes from its winter slumber, it should be well-positioned to go deep into the growing season with minimal assistance. Nevertheless, monitor your plant through its growth cycle for changes in disposition. What should you do to help a tree or shrub going into its first full growing season? Does the plant need a trim, fertilizer or nutrients, when and how much? Knowing basic care needs of your most prized trees and shrubs will help ensure success! Not sure what to do? Ask us! Our friendly staff is always willing to answer all of your questions! Because your tree or shrub has been in the ground for many months, it is becoming rooted-in. Supplemental watering will likely not be needed in the spring. However, when things heat up and dry out in the summer, a deep watering once or twice will help your tree or shrub make it through. As your plant begins to grow, expect it to look every bit as good as it did when you purchased and planted it. Look for new growth, the amount of which may be minimal the first year and more so in years to follow. Did you pick the plant for its flowers or fruit? If the tree or shrub had flowers or fruit when it was purchased last year it will likely have flowers or fruit this year. However in many cases a plant will forgo flowers and fruit the first year after planting in favor of establishing itself. Is your plant not performing as expected or are you concerned about its health? Let’s talk about it. Call us at 513-385-3313; write us about it: http://www.whiteoakgardens.com/plant-guides-resources/ask-an-expert/; or stop by the store. Often, a struggling tree or shrub that was planted last year needs more time to adjust to its new home. 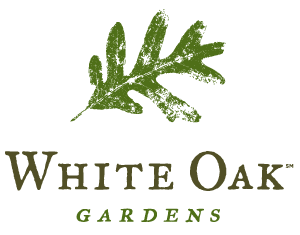 This is why White Oak Gardens offers a One Year Guarantee on all trees and shrubs planted by you and a Two Year Guarantee on all trees and shrubs planted by us!